Pre-heat oven to 350 degrees. 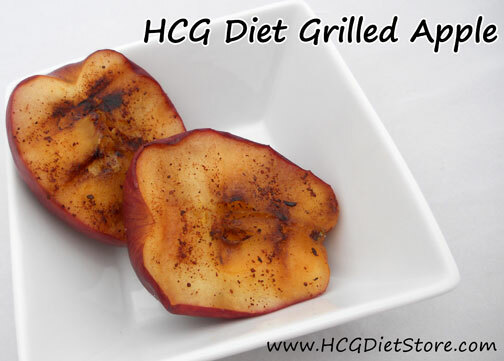 Start preparing this recipe by cutting the apple in half and removing the core and seeds. In a small bowl, add cinnamon, nutmeg, vanilla powder, and stevia, mix well. Top the apples with the mixture of spices. Bake for 10 minutes in the oven or until apple halves are softened. Then, place the apples on a non-stick grill for 60-90 seconds per side to get some nice grill marks. This recipe is allowed on the VLCD phase of the diet (also known as Phase 2 or the 500 calorie phase). This recipe equals 1 serving of fruit.